Hot pink rose glowing against sky blue painting. Available in your choice of medium. 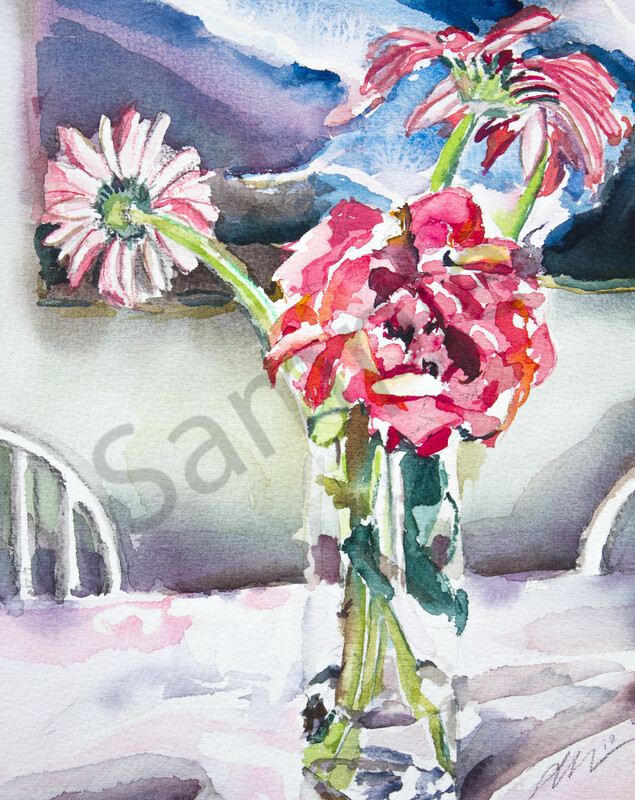 Cold Press Watercolor paper gives this painting a soft, watery mystique. Too take advantage of this, we suggest ordering on fine art paper. Print of watercolor original.